The capture of James prompted bookmakers to slash the odds on the Lakers winning another NBA title, with Las Vegas betting market Westgate installing them as 7/2 favourites behind the Warriors. 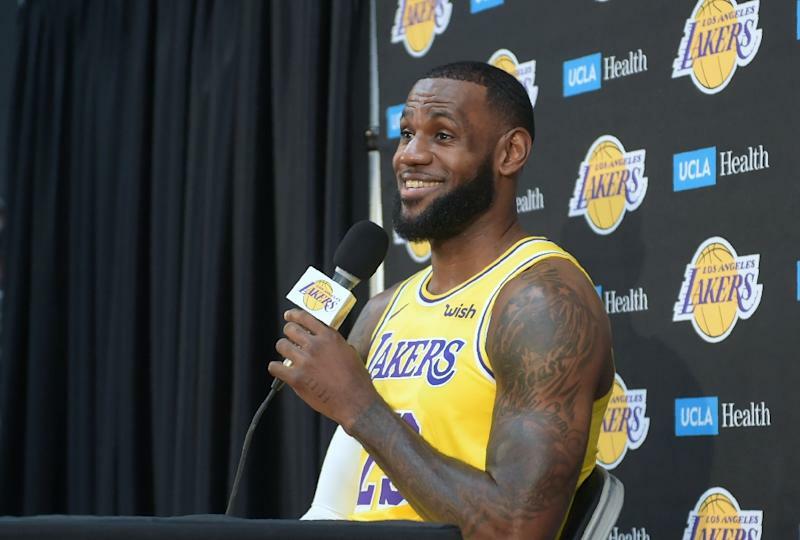 "We've got a long way to go to get to Golden State," James said at the Lakers' media day. "They can pick up right where they left off, starting with training camp. We're picking up from scratch. So we have a long way to go. "We can't worry about what Golden State is doing. Golden State is Golden State and they're the champions. They've been together for a few years now. "We can only focus one what we can do to get better every day as a Lakers franchise and hopefully some day we can put ourselves in position where we can compete for a championship as Golden State has done for the past few years." "I don't believe that," he said. "There's only one champion, but that doesn't mean you're not successful. There's going to be wins and losses and things of that nature. "But what you can control is how you prepare every day. How we prepare every day, try and get better every day. We're a new ball club trying to get better. We're all new to each other. "We have to take our bumps and our bruises, there's going to be good times and bad times. That's what happens with a team that's new. "But if we continue to work the process, and sacrifice for each other and put in the work and the time everything will fall into place." James however he admitted he was excited at the prospect of donning the Lakers' yellow jersey and following in the footsteps of iconic figures such as Magic Johnson, Kareem Abdul-Jabbar, Kobe Bryant and Shaquille O'Neal. "I think we all know this franchise has been a historical franchise in this league for years," James said. "You talk about the championships, the players that have come through this franchise, that have worn this uniform, that's an excitement in its own right. "It's always humbling for me to be a part of something special." James also emphasised that his decision to move to Los Angeles -- which puts him closer to the capital of the entertainment industry where he has multiple television and movie projects -- was based solely on basketball. "My decision was based solely on my family and the Lakers," James said. "I'm a basketball player. I play ball. That's what I do. "As far as my business is concerned, that stuff has been taking care of itself long before I came out here."